ZOCIETY Is A Worldwide Z Family, Movement, And A Social Media Platform For Z Owners To Share Their Builds And Inspire Others! Get Connected With The Biggest Automotive Companies, Worldwide Exposure, And Get Selected To Be A Part Of The ZOCIETY Booth At Car Shows, Events And Exclusive Discounts On Car Parts And Merchandise! How To JOIN The ZOCIETY? It’s Simple! Create Your Account And Provide As Much Information As Possible, Along With Uploading Your Best HQ Pictures! Make Sure To Pick Up Any ZOCIETY Merch Or Decal Of Your Choice And RepreZent! Benefits Of Creating An ACCOUNT? If You’ve Purchased From Our Website Before, Then Chances Are You Already Have An Account! You Can Log In By Going To The Log In Tab, Click On LOST PASSWORD, And You Will Receive A New Password Via Email, Which Can Then Be Changed In The User Profile Settings! Profile Pictures – Add Your Favorite Picture! 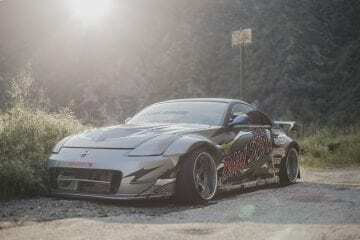 Modifications- What Modifications Have You Done To Your Z? Social Media Platforms – Make Sure To Add All Of Your Social Media Links To Maximize Exposure And Reach On Your Z Build! That Includes Instagram, Facebook, And YouTube! Feature WALL – Every Account Now Has WALL In Their Profile! Make Sure To Upload Your Best Quality Pictures To Your WALL For A Chance To Get Featured On All Social Media Platforms! Z-MAP- Have You Ever Wondered If There Are Other ZOCIETY Fam Near You? Uniting And Connecting Every Z Owner In The World Is Now Easier Than Ever With The All New Z-MAP! By Entering Only Your City, State Or Zip Code, Your Account Will Automatically Drop A Random Pin Point In That Location Entered, Making It Easier For Everyone To Reach Out To Each Other! The Goal Is To Have A Pin Everywhere In The World Map! Mark Your Pin Point Now Fam! We’ve Heard It All, From ZSOCIETY To ZEEOHCITY, And A Couple Of Other Funny Ones And Wanted To Make It Easier For Everyone On How To Pronounce It, Its Pronounced “ZOH-CI-ETY”, Meaning “A SOCIETY OF Z’s”. Make Sure To Subscribe And LIKE Our Videos!